A California Highway Patrol chase ended in a crash, closing a southbound Interstate 880 on-ramp early Friday. Kris Sanchez reports. 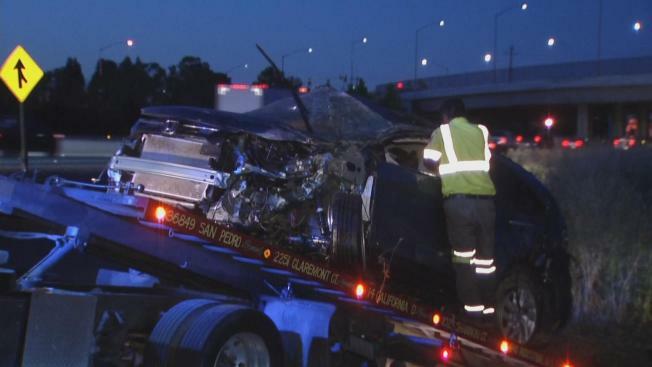 A California Highway Patrol chase ended in a crash, closing a southbound Interstate 880 on-ramp early Friday morning. CHP officers tried stopping a driver for a traffic violation, but he took at unsafe speeds. Officers pursued the man, who was driving south, until he lost control of his car, veered into the grass along the freeway and ended up on the on-ramp from Fremont and Alvarado boulevards to I-880. The suspect was pulled from the crushed SUV and taken to a local hospital. Once he's been checked out, CHP officers say he will be taken into custody.